We have completed two weeks of work at the café. It has been exhausting, exhilarating, and fun. Lots of great food, fresh fruit juices, friendly faces, and many visits. 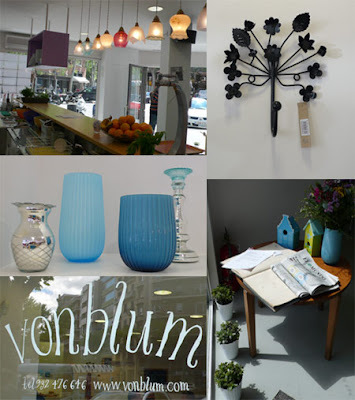 We have also launched our website, www.vonblum.com. Please come and see us in person if you can, and definitely virtually, and let us know what you think. que maximo ficou o Vonblum! Quero fazer uma visita soon. To fazendo colagens e outras coisitas mais, vou te mandar fotos em breve, voce pode vender ai, quem sabe?